In the final installment of Chad Park’s interview with Tzeporah Berman and Toby Heaps, the group discusses specific considerations and opportunities for Alberta’s energy future. Following last month’s GLOBE Conference in Vancouver, Energy Futures Lab Director Chad Park caught up with two members of the Energy Futures Lab Advisory Council, Tzeporah Berman and Toby Heaps. This is Part Two of their conversation. Following last month’s GLOBE Conference in Vancouver, Energy Futures Lab Director Chad Park caught up with two members of the Energy Futures Lab Advisory Council, Tzeporah Berman and Toby Heaps, both of whom had important roles at GLOBE and its surrounding events. Alison Cretney: Why is the Energy Futures Lab Going to Fort McMurray? Can we credibly explore the energy transition in Alberta and not visit Fort McMurray? 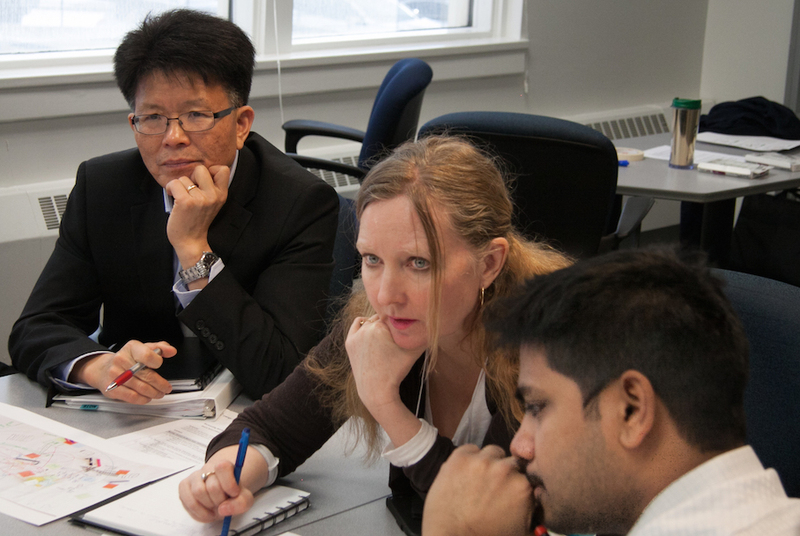 Next month the EFL Fellows are coming together for their third in-person workshop. This time they are setting aside their busy schedules and journeying to the city that in many ways is a ground zero for the big issues and debates about the province’s energy future. Learning journeys: More than just a fancy field trip? Imagine 20 years of energy transition condensed into an immersive half day simulation. The Newtonian Shift drops you into the outdated, inefficient, polluting energy system of Newtonia.